Enjoy The Experience’ is the largest collection of American private press vinyl ever amassed and presented, featuring over 1,000 reproductions of the cover art of self released titles from 1958-1992. The recordings collected here across 500 pages are artifacts of a media universe that no longer exists, created - against very high odds - in a world in which both the means of production and the means of distribution were held as near-complete monopolies by the established industry. 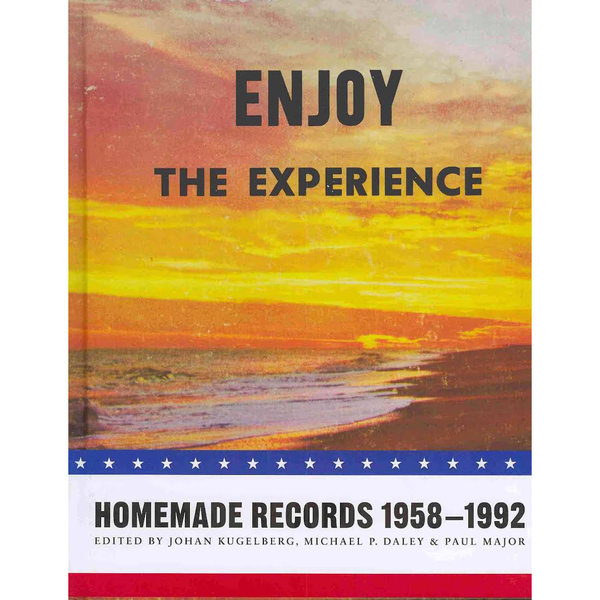 The subjects of ‘Enjoy The Experience’ range from lesbian folk singers to psychedelic disco bands, awkward teen pop combos to pizza parlor organists, religious cult leaders to swank Sinatra imitators. But this is not a novelty freak show; also profiled and discussed are some of the most highly regarded rock, soul, jazz, funk and singer / songwriter albums from the latter half of the Twentieth Century. From the awkward-yet-talented to the genius-yet-bizarre, one thing unites all musicians presented here: they sincerely hoped to become stars, they committed themselves to record, and they left themselves vulnerable to an industry not understanding of nuance, nor appreciative of character. Epic/Heavyweight book including a bonus "How To Manufacture Your Own Record" 7" pressed on clear vinyl plus download card redeemable from the label.